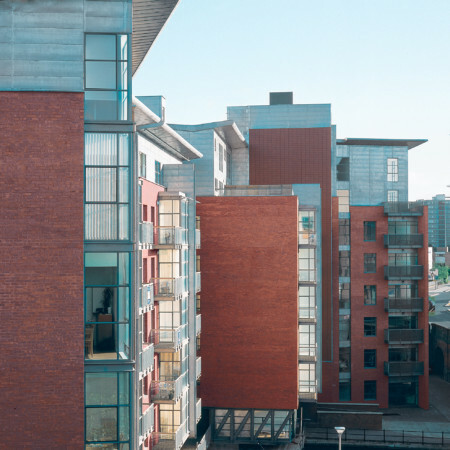 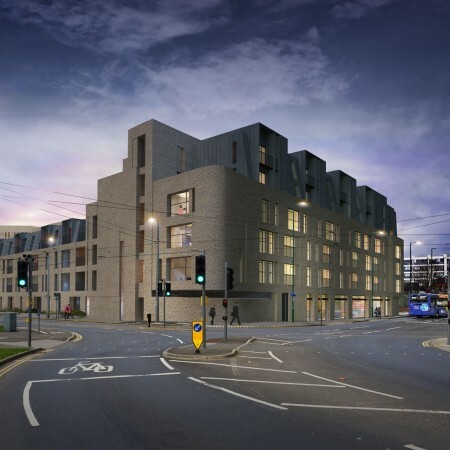 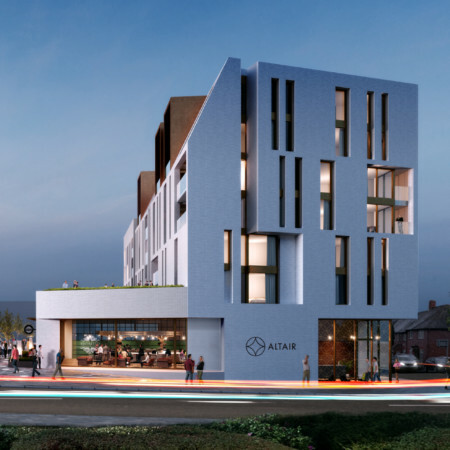 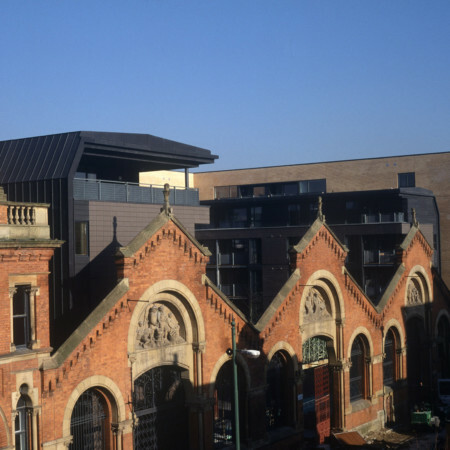 After winning the competition which originally required 20 new homes, a joint development by Urban Splash was proposed, now totalling 27 units, which involved forming an underground car park below and adding four duplex apartments above the original proposal. 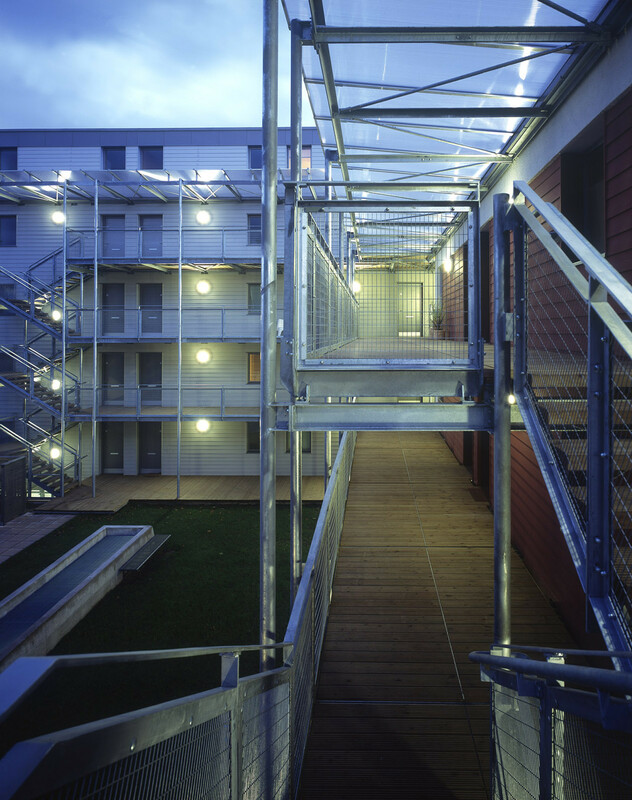 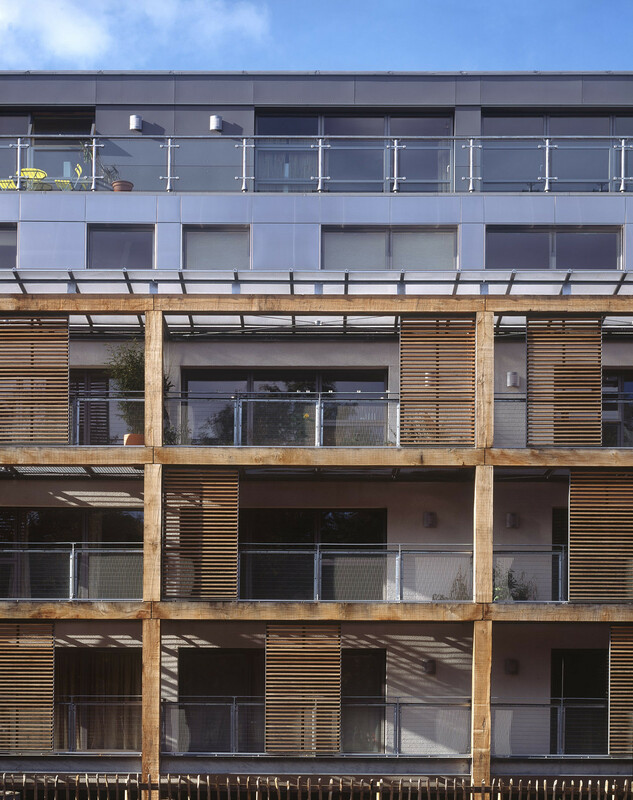 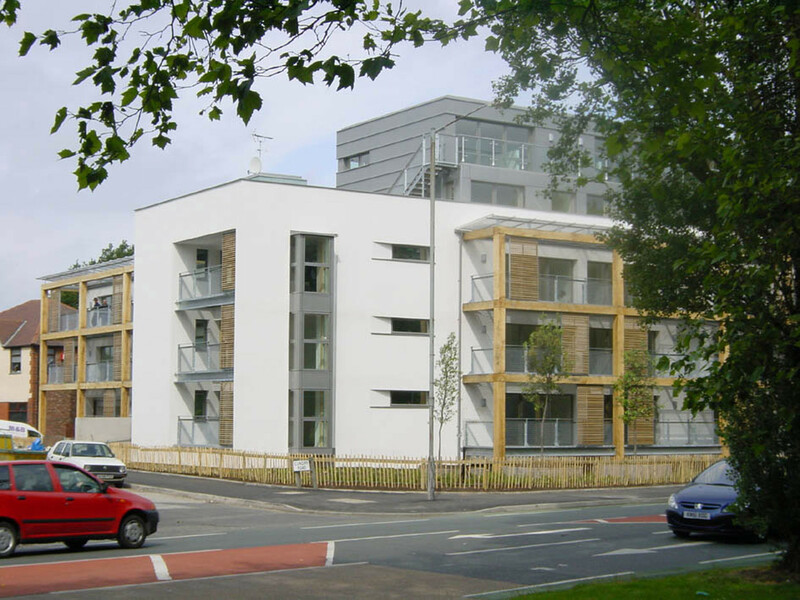 The majority of the development remains at three storeys, although the five storey element is at the current height limit for timber framed construction. 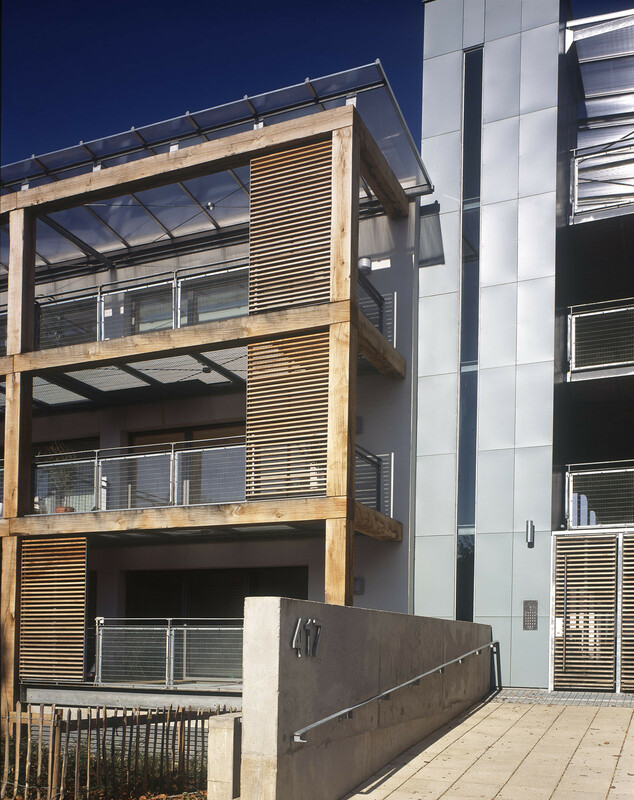 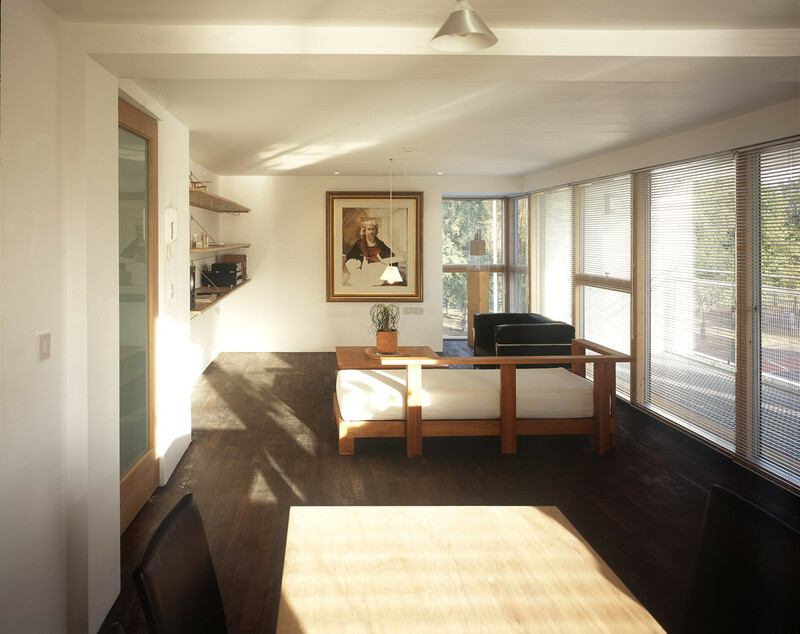 Access to flats is via generous timber floored decks. 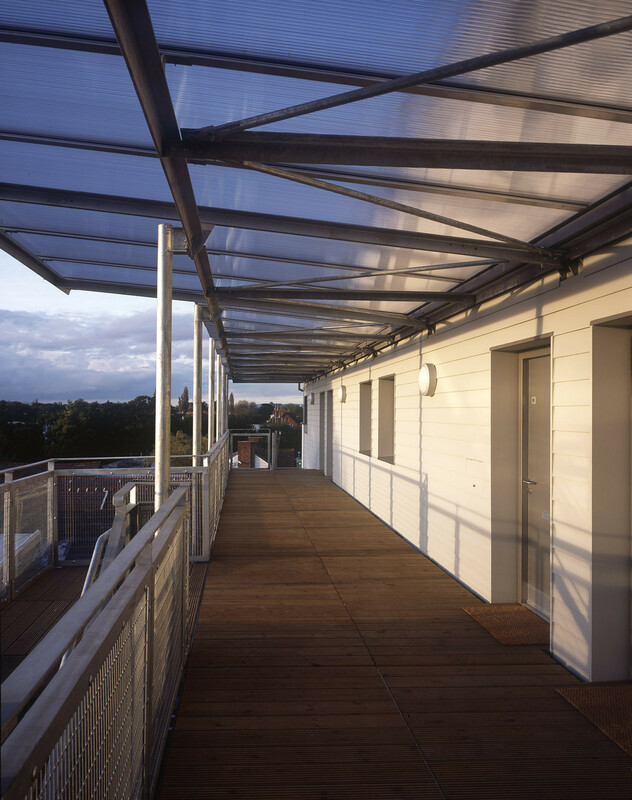 Although there is little communal space, the roof garden, circulation areas, and single entrance, will encourage communal activity.